The Dark Ranger: So Long Jags! Where Did My Team Go? He may not be the presence and comedian of Jaromir Jagr and he may not have the points, goals and assists as our three-year Captain, but one thing is for certain.....our newest New York Ranger, former Vancouver Canuck Captain Marcus Naslund plays his best hockey game EVERY game! This is already an improvement. Yes....Jags was brilliant in the playoffs and that was reason enough to re-sign the Captain. In both rounds he played hard and it reminded us of what he can/could still be when he wants to.....but do NOT forget that we complained about his will and desire all the way to the playoffs. Not only did Mr. Perimeter (thanks Pundit) hold us in his clutches of lazy, he held back the team with his 'perfect-shot' perimeter play. Enough is enough. Slats gave some of us our wish. Thank you for bringing the Blueshirts back to 'legit' on Broadway, Jags -- but it is time for that Russian contract where you can play half-a-game most of the season and still make the big bucks tax-free. Run with it. Skate with it. Play with it. Gamble it. We love you, Jaromir - but not for another two-years. Love hurts. Marcus Naslund is our new guy -- Battle of the Potential Captains with Chris Drury (my vote), Scott Gomez and now former Canuck-Captain Naslund, plus a couple of new kids on the block and an actual blue line to support our Hank. Our Staal, Girardi, Callahan and Dubinsky kids aren't babies anymore either. I think I like this team. Here's the official Canadian press on Naslund -- and it's worth hitting the Vancouver blogs -- who are very upset over his leaving. THE CANADIAN PRESS Thu Jul 3, 6:51 PM ET NEW YORK - Markus Naslund is heading to the Big Apple.The former Vancouver Canucks captain has agreed to an US$8-million, two-year deal with the New York Rangers. "It's not an easy thing," Naslund said on a conference call. "I've been in Vancouver a long time. I've been a captain there for the last eight years. I have very fond memories of playing in that city and all that comes with that. "The fan base that's there, the organization has treated me first-class all the way. It's definitely a big step but it's a step that I'm excited to take." The Canucks released a statement thanking him for his years of service. "As an organization we would like to thank Markus Naslund for his 12 exemplary seasons in a Canucks sweater," said Canucks GM Mike Gillis. "Markus is one of the greatest athletes to ever represent the Canucks both on and off of the ice. His on-ice success sees him leave the organization among the club leaders in almost every offensive category. "We are very grateful for Markus' commitment to our community, our fans and our team over the years. 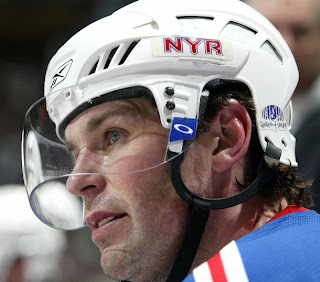 Markus and his wife Lotta have given generously of their time over the years to many worthy causes ..." Naslund's new contract, which includes a $1-million signing bonus, will pay him $4 million next season and $3 million in 2009-10. "I think for anyone who dreams of playing in the NHL, playing for one of the Original Six teams with the history and tradition, it's special," Naslund said. "It was very appealing to me and my family to live in New York and be part of what's going on there. ... The overall picture was very appealing to me." The 34-year-old unrestricted free agent forward had 55 points (25-30) in 82 games with the Canucks last season. Naslund was drafted by Pittsburgh with the 16th overall pick in 1991. He has recorded 823 points (371-452) in 1,035 career games with the Canucks and Penguins. Word is also that Shanny is still a possibility to be back and there is an offer on the table to Paul Mara. 1) Marcus seems like a likeable guy and if he was captain for 8 years he must possess some leadership qualities. However, his offensive contributions have steadily been diminishing. 2) Peaking at 104 in 03, then going down to 84, 79, 60, 55 the past few years since. 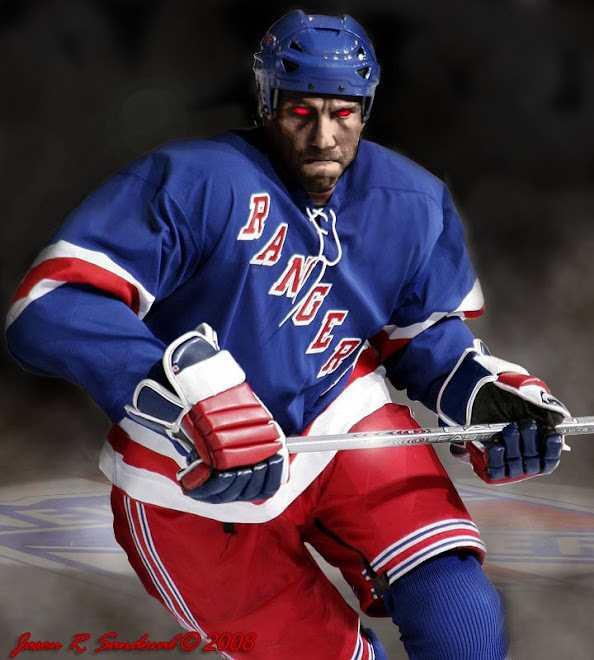 If the rangers are expecting a return to his 80-100 point days they may be disapointed. Hey Dark Ranger. Will you love these guys in April as you do in July? Wasn't there a song by that name? What about Shanny? He's a gentleman, a leader, an ambassador for the NHL and and all around great guy. And we've heard NOTHING. One might hope that Slather has behaved in a manner becoming of Brendan, but so far he's been true to the love em and leave em scenario. One more year for Shanny!! We need him back for morale! Drury will make an amazing Captain as well, hes a solid. Gomer needs a few more years... They're all gonna miss Aves, gotta keep some of the team spirit together and off ice- that was Shanny, Sean and Holly's doing. faux...Drury was my last year prediction for Cap-a-Tain this season -- Naslund is a terrific addition, but certainly not a Jagr replacement. Though, without Jagr, he will listen to the coaches. Some might see this as a detriment (Pundit), but maybe we haven't seen Renney actually coaching for three seasons due to the Jagr-monarchy...so many 'if's' & 'maybes'. Scary stuff. pundit...ah yes...my conscience at work. You KNOW I feel this...until we're in November I can't actually say it. anonymous...Amen brother! Fashion on the Rangers will take a downward spiral my anonymous friend. We may be a better team, the same team, a horrible team, but you point out the most obvious. The personality of the Rangers has been ripped out of our hearts!!! I am a fan of Shanny...as I said, he might show up.